The Niger Minister of Foreign Affairs, İbrahim Yakubu who came to Turkey to attend The Organization of Islamic Cooperation Summit visited IHH Humanitarian Relief Foundation Headquarters. After President of the USA Donald Trump declared Jerusalem the capital of Israel lawlessly, Niger Minister of Foreign Affairs arrived Turkey to attend the emergency meeting of The Organization of Islamic Cooperation (OIC) and visited Headquarters of IHH Humanitarian Relief Foundation. 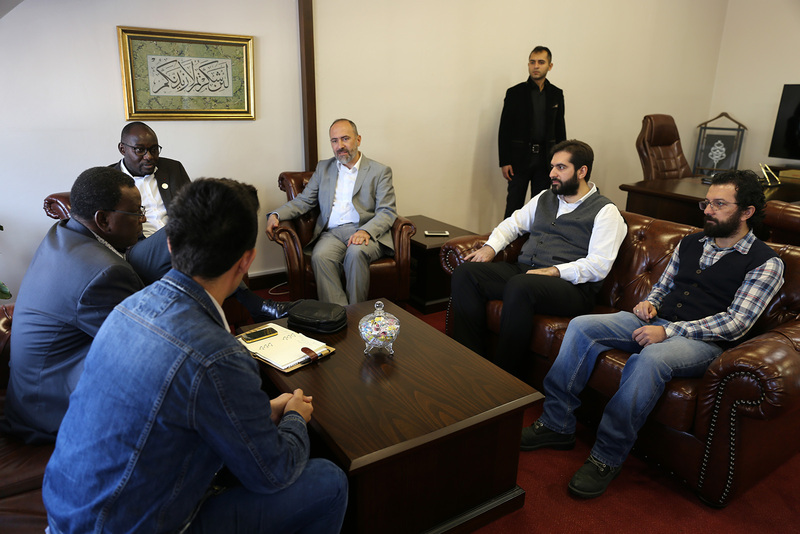 Nigerian Minister Yakubu was welcomed by Vice Chairmans of IHH Humanitarian Relief; Huseyin Oruc, Orhan Sefik, Resad Baser and Serkan Nergis with the Chairman of Young IHH, Fatih Yazici. Talking behalf of IHH, Huseyin Oruc mentioned their first arrival to Nigeria was in 2005 drought. Oruc underlined that they are the first relief organization to go Nigeria for humanitarian welfare activity, added “We had to go Niger not via capital Niamey but from Nigeria. It was an exhausting travel.” Declaring that IHH have reached 100 thousand surgery goal on cataract, and stated almost 10 thousand of those surgeries are performed in Niger. After discussions about possible operations in Nigeria, the subject came to Quds’s void declaration as the capital of Israel. Nigerian Minister, reminding Israel is the only country with undefined boundaries and expending it day by day, said he is having hard time to comprehend that situation. Yakubu declared they will never accept Al-Quds as the capital of Israel and uttered Nigeria is one of the ten African countries that has no political relations with Israel and they are proud of it. After the meeting, Oruç made Nigerian Minister Yakubu a present of Al-Mescidi Aqsa mock-up.